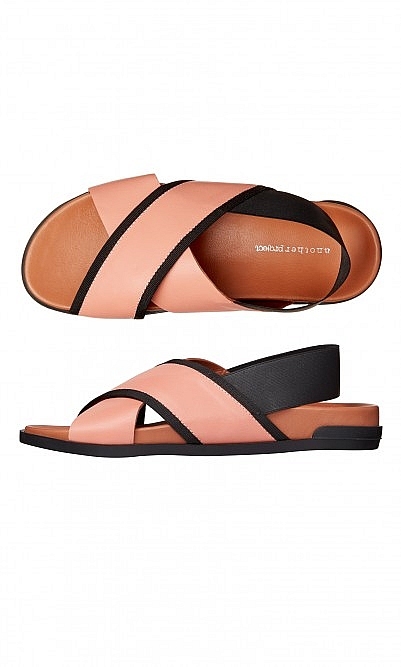 Modern coral-pink leather sandals with black grosgrain detailing. Finished with stretch sling backs, tan leather ergonomic footbed and flexible rubber outsoles. They are great shoes with comfortable footbed. What I love most is the unusual coral /power pink colour that is offset so strikingly with the black contrast trim. They look very Marni to me without the price tag!